As a child, using arts and crafts as a method to exercise the imaginative areas of your brain is crucial for being a more effective problem solver later on in life. Whether figuring out challenging puzzles or drawing an imaginary scene, there are a variety of activities designed to improve a child’s imagination. Many studies have shown that one’s creativity and imagination are vital for seeing problems from different angles, which can aid in effective critical thinking in difficult situations. That’s why, throughout this post, we will talk about five easy craft activities you can do with your child to stimulate their imagination and develop their cognitive skills. 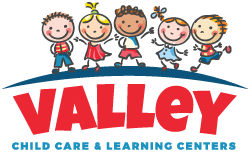 Valley Child Care and Learning Centers has helped children grow as individuals since 1967. As a family-owned-and-operated child care facility and learning center with locations in Phoenix, Chandler, Anthem, Tempe, and many other areas around Arizona, we provide the proper tools and environment for your child to develop their social, physical, and emotional skills. We teach engaging and fun curriculum that is designed to improve your child’s literacy, creativity, critical thinking, and so much more. If you would like to learn about five different craft projects you can do easily with your child, continue reading more on the topic below. Painting is one of the oldest forms of creative expression and is a great activity for children to play out imaginary situations through a physical medium. Whether your child enjoys watercolor painting or finger painting, there are many different ways your little one can express themselves with colorful art. It is important to note, however, that your child should only be working with paints that are made specifically for children. When shopping for kid-friendly paint, make sure that the paint you are purchasing is ASTM D-4236 compliant. This means that the paint is safe for children and does not contain any hazardous or harmful materials. Popular brands, like Crayola, manufacture child-friendly paints in many different colors so that your child’s next painting is filled with life. There is a reason that both children and adults love chalk. They usually come in bright pastel colors, and are incredibly easy to clean from outside surfaces. In fact, an adequate amount of rainfall is usually all it takes to wash away chalk illustrations. Purchasing a chalk set for your child will encourage them to get outside and enjoy nature while they create their very own story on your sidewalk. Whether your child likes drawing colorful designs or imaginary animals, chalk is perfect for letting their imagination run wild. Not only is chalk a good way for children to draw temporary illustrations, you can also teach your little one how to play hopscotch in just a matter of moments. For this reason, we suggest using chalk as a versatile tool when your child would like to draw outdoors. If your child likes creating physical objects rather than painting or drawing, consider using popsicle sticks to create imaginary characters or animals. Popsicle sticks can be found for very cheap at your local craft store, and will make for endless amounts of fun between you and your child. Pairing popsicle sticks with Elmer’s Glue or wood glue is a great way to make interesting shapes and imaginary figures with very little effort. To fill your child’s next craft session with fun and laughter, you can even purchase googly eyes from your craft store of choice, which will instantly bring any popsicle stick to life! If you are cozying up during a rainy day, or are just looking for a fun, creative activity to pass the time with your child, coloring books let children explore their imagination without boundaries. With an endless amount of crayon colors to choose from, children can easily exercise their creative muscle by filling their drawings with unique color combinations. Coloring books are great for any type of child, as there are countless variations of coloring books which feature different settings, characters, animals, and much more. You can even create a make-believe story with your child while he or she colors, which will engage their imagination even more. Children love to draw different shapes using colorful crayons or pencils, which is why stencils are a great tool for children to learn how to draw their favorite objects! Plastic stencils usually come in packs with multiple kinds of objects which your child can trace. This is why stencils can create an endless amount of fun, as your child will want to try and draw every object within the stencil. To make stencils even more exciting, they can be used outdoors with chalk, making your child more inclined to remain outdoors for longer periods of time. You can even use stencils to create shapes which can be cut out at a later time. For this reason, stencils are a diverse tool that will provide your little one with an endless amount of entertainment. Using any of the items above for your kid’s next arts and crafts project will help keep their imagination active while encouraging continuous cognitive development. You may even find yourself using your imagination for many of the activities that you partake in with your child. 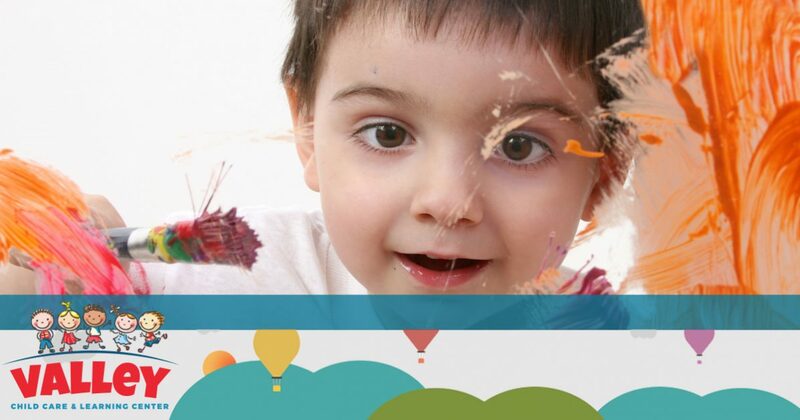 At Valley Child Care and Learning Centers, your child’s social and cognitive development are our top priorities. This is why our wide range of curriculum is designed to improve your child’s understanding of the world around them. To learn more about our before or after school programs, or to view our affordable rates and services, simply contact our friendly staff today!